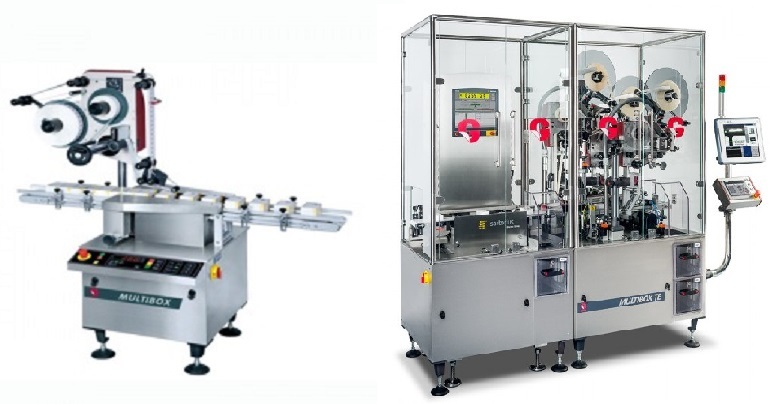 The Multibox machine is designed to label or seal box cartons. It’s compact design allows for integration into existing lines or stand alone operation. Easy to use and set and incorporating a thermal printer, labels can be printed and applied in quick succession for efficient production. The Multi-box TE version preforms the same applications as the Multi-Box with the added feature of complete label and product traceability. This feature was specifically designed for new European pharma regulations for 2017.